Ford invited real-world truck customers to test the all-new Ford F-Series Super Duty so that they could see just how well it fares in tough situations. Ford invited real-world truck customers to test the all-new Ford F-Series Super Duty so that they could see with their own eyes just how well it fares in tough situations. The 2017 Ford Super Duty is about 350 pounds lighter than the previous model thanks to extensive use of aluminum in parts of the body. This kind of major weight-saving allowed Ford to beef up the brakes, hitch, suspension, and axles. In addition, the all-new frame is now made of 95% high-strength steel and is 24 times stiffer than the previous one. 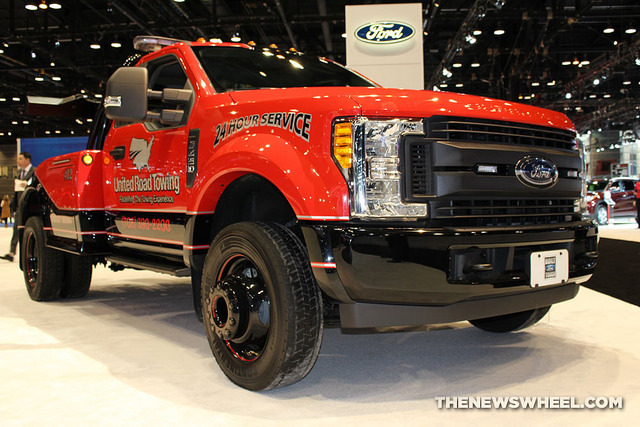 During the hands-on demonstration, truck customers were able to lift the door of the old and new trucks to compare them, check the frame stiffness, look at the axles, and take out the new Ford Super Duty on a towing test at Ford’s proving ground. Spoiler: they’re all very impressed. Check out the all-new Ford F-Series Super Duty at Chip Wynn Motors and we bet you’ll be impressed too! WardsAuto has honored the 2016 Nissan Maxima as one of its “10 Best Interiors” for 2016, a testament to Nissan’s craftsmanship and attention to detail. WardsAuto has honored the 2016 Nissan Maxima as one of its “10 Best Interiors” for 2016, a testament to the craftsmanship and attention to detail that all customers notice the moment they step inside the Maxima at Chip Wynn Motors. And it’s no surprise, given that the latest Maxima features an interior that was inspired by a jet cockpit. With its premium materials, tasteful design, and beautiful trim, the Maxima’s interior rivals even that of significantly more expensive vehicles from luxury brands. The vehicles selected for Wards 10 Best Interiors were scored based on key categories including comfort, materials, ergonomics, safety, fit-and-finish, aesthetics, and driver information.